I don’t want to get into the moral argument of feeding your cat vegan food. Leave that for another forum. The goal here is, if you do choose a vegan diet for your cat, to make sure your cat stays healthy. Let me warn you: a vegan cat diet is going to be expensive (especially during the first year when you need to check your cat’s urine pH and have more frequent vet checkups). If you choose to make your own vegan cat food, it can also be very time consuming. But, if you go about it correctly, your cat can be healthy on a vegan diet. Unlike humans, dogs, bears, and many other animals, cats are true carnivores. They are meant to eat meat and nothing but meat. The grass that cats sometimes chew on? Experts agree that cats do this as a digestive aid, not as a source of nutrients. I know that cats sometimes do weird things like eat peas and strawberries, but this isn’t proof that they are biological omnivores. I really hate the words “natural” or “meant” to when describing any sort of diet. Sure, cats were “meant” to eat meat –but they also were meant to roam around in nature and hunt their food rather than lazing around in domestication. And cats certainly were not “meant” to eat conventional cat food, which is highly processed, mostly made from grains and meat byproducts. No wonder cat obesity rates are on the rise along with human obesity rates. Compared to conventional cat food, a vegan diet for cats doesn’t look too bad! But, biologically speaking, it is important to remember that cats are carnivorous and they need some nutrients which are not available from plant sources. Aside from B12 (which all vegan humans should take too! ), cats need nutrients like taurine, vitamin D, vitamin A, and fatty acids. We omnivores can get some of these nutrients from plants or even sunlight, but cats have different biology than us. For example, vitamin A is only available in animal tissues, but we can convert beta carotene into vitamin A. Cats cannot do this. Here are the most important nutrients which may be lacking in a vegan diet for cats. The Animal Protection Institute warns that it can take months for nutrient deficiencies to develop, and these deficiencies are often asymptomatic. They also warn that you shouldn’t rely on supplements to provide these nutrients because supplements often lack the cofactors which are needed to make use of the nutrient. Taurine is an amino acid, which is a building block of proteins. Taurine is only available in animal tissues, but we humans are able to create taurine out of the amino acid cysteine. Cats are unable to do this and will need to supplement with taurine. If cats do not get enough taurine, they can go blind! Other symptoms of taurine deficiency in cats is deafness, metabolic problems, cardiomyopathy, heart failure, and poor immune response. Getting enough protein on a vegan diet is not a problem for humans. It isn’t really a problem for cats either. The problem, however, is that most vegan protein sources are also high in carbohydrates. Cats should only be getting about 1-2% of their diet from carbohydrates. Carbohydrates take a long time to break down. Cats do not have the enzyme amylase in their saliva like omnivores do. They do have an enzyme called hexokinase for breaking down low-glucose loads (low carb) but cannot break down high amounts of carbohydrates. When eating a high-carb diet, cats will start to break down their muscles and organs. A high-protein diet causes urine to become acidic. This is a good thing for cats. On high-carb diets, cats (and dog) can have low pH urine, which in turn causes problems like urinary tract disease, urine crystals, bladder stones, and kidney problems. People feeding their cats vegan food will need to test their cats’ urine pH to make sure it is acidic enough. 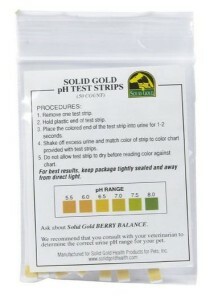 If tests show the urine is too alkaline, then you will need to give your cat a urine acidifier. Vitamin D is mainly found in animal foods (the exception is some mushrooms and algae), but we humans are able to synthesize it from sunlight. You will have to feed your cat vegan food supplemented with vitamin D (vitamin D2 is vegan, D3 is usually from sheep wool). Vitamin D deficiency in cats can cause rickets, weight loss, and imbalance. Vitamin A is another nutrient only found in animal tissues, but we humans can create Vitamin A out of beta carotene. Cats cannot do this, so you will need vegan cat food which contains Vitamin A. Deficiency causes problems like conjunctivitis, eye problems, muscle weakness, and weight loss. Please not that vitamin A is toxic in excess. Cats need about 100IU per kg of body weight per day, but amounts of 5000IU/kg per day are toxic. Fat is incredibly important to a cat’s diet. They require a type of Omega 6 fatty acid called arachidonic acid which is only found in animal products. Humans are able to create arachidonic acid out of the linoleic acid found in plants. Cats cannot do this and will need arachidonic acid. A deficiency can cause skin problems and decreased growth, as well as problems with reproduction and blood platelet formation. Cats have higher B vitamin requirements than many other animals. Meat is very rich in B vitamins. Many plants are also good sources of B vitamins (though no plants contain B12). But, while many vegans might not want to admit this, meat is still a better source of most B vitamins – especially in the concentrations that cats need. Deficiency in B vitamins for cats can cause problems like hemorrhagic diarrhea, slowed healing, loss of nerve control, weakness, hair loss, anemia, hypoplasia of bone marrow, and others. Unless you are keeping strict tabs on how often your cat urinates, and checking the color of your cat’s urine (the stones can cause it to become tinged with blood), then you probably won’t notice the signs of these problems until too late. Urinary problems are very painful for your cat. With male cats, urinary stones and crystals can actually block the urethra and prevent urination, leading to death. Veterinary intervention is expensive. Expect to pay at least $1000 for surgery to remove the stones. It is highly recommended that you check your cat’s urine pH the week after switching to a vegan or vegetarian diet, and then check it again every month for at least several months. If the urine is too alkaline, you can purchase urine acidifiers for cats. *The ideal urine pH for cats is considered to be between 6.0 and 6.5. Colormetric tests for urine pH are usually accurate within a 0.5 range, so a reading of 6.5 would mean that the urine pH is somewhere between 6.0 and 7.0. You can test cat urine pH yourself. This website has some good info on how to collect cat urine for testing. If your cat will pee in an empty litter box with just paper towels laid down, this is the best method. If not, then you can buy special sand that repels water (such as Kit4Cat) and then use an eyedropper to grab the urine from the top of the sand. These are the nutrient RDAs for cats (vegan or not). Unfortunately, this information isn’t too helpful if you are buying pet food because most pet foods don’t bother to list the nutrient content of their food. If they do, it is usually limited to crude protein and crude fat. They don’t usually list important info like the amount of each amino acid (such as taurine) or type of fat (such as the arachidonic acid which cats need). 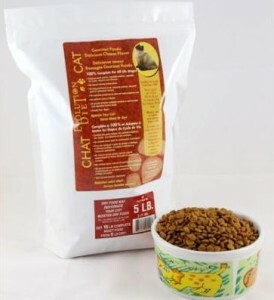 If you are making your own vegan cat food, then this information will be helpful. However, remember that you can’t always rely on nutritional data for food because it is made for humans. For example, the website nutritiondata.com lists carrots as having over 21000IU of Vitamin A per cup. This is true for humans, but cats can’t convert the beta carotene in carrots into Vitamin A – so carrots contain ZERO Vitamin A for cats! An important point to remember when switching your cat to a vegan diet is that cats don’t show signs of illness like we do. Evolutionary wise, it doesn’t make sense for cats to show any symptoms. 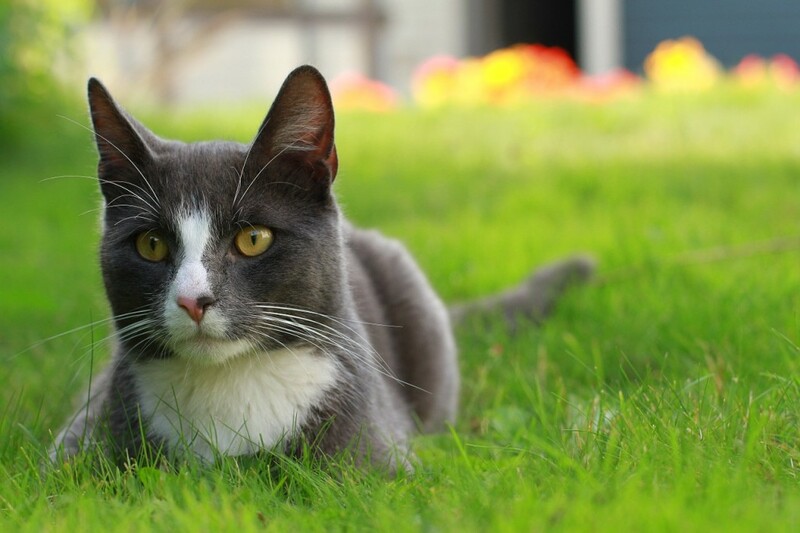 If an animal in the wild were to show weakness, it would be like carrying a sign saying “easy prey.” Your cat may be suffering from painful urinary tract infection, weakness, or other problems but it will be hard to pick up on it until too late. If you feed your cat a vegan diet, then be responsible. Take your cat to the vet regularly for checkups and check its urine pH! None of these options are exactly “ideal.” For starters, vegan cat food is a lot more expensive than traditional cat food (again, traditional cat food is full of junk and dangerous byproducts, so it isn’t exactly ideal either). Plus, some of the vegan formulas might be lacking important nutrients for your cat – even the brands which claim they are “nutritionally complete” on their websites. For example, two of the most popular vegan cat food options are Vegecat and Evolution. In a study published in the Journal of American Veterinary Medical Association, researchers found they were lacking in certain key nutrients. There aren’t any other studies on the nutritional adequacy of other brands of vegan cat food (at least any studies I am aware of). Be aware of this risk when you are choosing a vegan brand of cat food for your cat! Be responsible: have your cat’s nutritional levels checked regularly as well as test urine pH. A half-cup daily serving has about 12 grams of protein and 4.5 grams of fat. Wysong is clear about the fact that their vegan formula does NOT meet the protein minimums prescribed by the NRC (which is 12.5g/day for cats). They recommend using the vegan formula along with fresh meat. They also make a urine acidifier supplement. This is one of the two brands of vegan cat food which was analyzed and it was found deficient in protein, taurine, methionine, arachidonic acid, vitamin A, pyroxidine, and niacin. If you want your cat to thrive and not just survive, you will need to carefully monitor your cat’s health, and/or add supplements. A half cup serving has about 13.6g of protein and 4.5g of fat. VegeCat is a supplement. You make your own vegan cat food based on their recipes (using ingredients such as seitain, tempeh, and rice) and add the supplement to it. Note that this was the other brand of vegan cat food which was analyzed in the study mentioned above. It was better than Evolution, but was found deficient in methionine, taurine, arachidonic acid, and pyroxidine. Visit the website here. 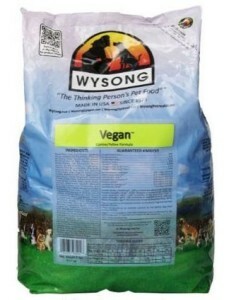 Not recommended: If you use this vegan cat food, you will need to supplement (with meat or with nutrient blends). There is no B12 in the formula, and the protein mainly comes from high-carb sources such as corn and potato so urine acidifiers may be inevitable. Considering that all the vegan cat food options are likely lacking in some nutrients, it is pretty risky to feed your cat a purely vegan diet. I’m not saying that it can’t be done. But, again, the goal isn’t just for your cat to survive but to thrive. If you are going to responsibly feed your cat a vegan diet, you better be prepared to pay a lot for veterinary checkups (regular blood work for nutritional deficiencies) and test your cat’s urine pH (have fun trying to obtain samples!). Seem like too much to feed your cat vegan, but still don’t want to contribute to animal suffering? Consider the “lesser evil” and feed your cat organic, free-range cat food. I’m not going to get into the moral aspects of free-range meat here. 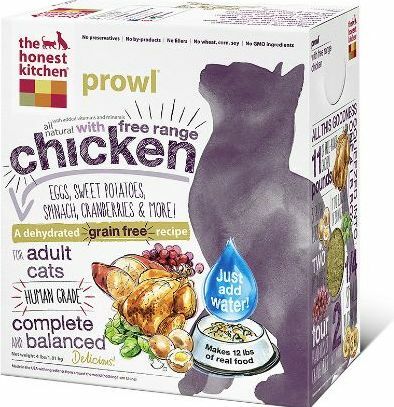 But, this option is definitely healthier for your naturally-carnivorous cat, and the meat isn’t raised on factory farms and thus better for animal welfare and the environment. Basically you just need to blend up raw, whole chicken with some veggies and maybe some supplements. There are plenty of recipes online for cat food. You’ve got to buy whole chickens with the organs (that is where the most nutrients are). I considered doing this, but honestly got too grossed out when I heard that they keep the chicken organs in a little baggie inside the chicken. Here are some decent brands. You might consider giving your cat a part vegan diet and “supplementing” with these meat-containing foods occasionally to ensure they are getting important nutrients. I consider this the best option because you add water to it. Cats should really only eat wet food, because their primary source of water is from food and not from drinking!!! This option is expensive (about $1.75 per serving), but probably the best option you will find as far as nutrition and quality goes. *Prices accurate at time of writing this article!